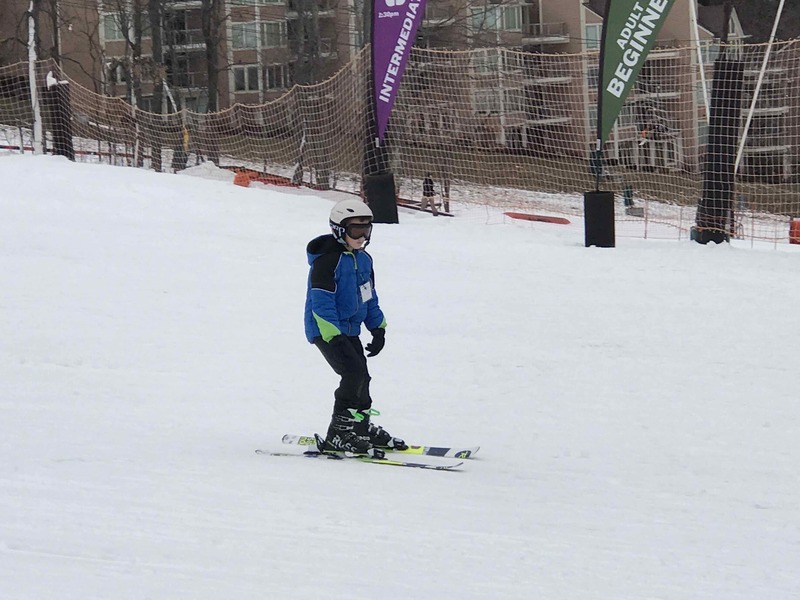 ©2017 Blue Ridge Life Magazine : Photo By BRL Mountain Photographer Paul Purpura : Skiers took to the slopes this past weekend at Wintergreen Resort as the 2017-2018 ski season officially got underway. Sunday – December 17, 2017. Over the past week conditions have been just right for the crews at Wintergreen Resort to make snow, and they’ve been making plenty of it! On Friday of last week they had a soft opening, but the official 2017-2018 season officially kicked off over the weekend. 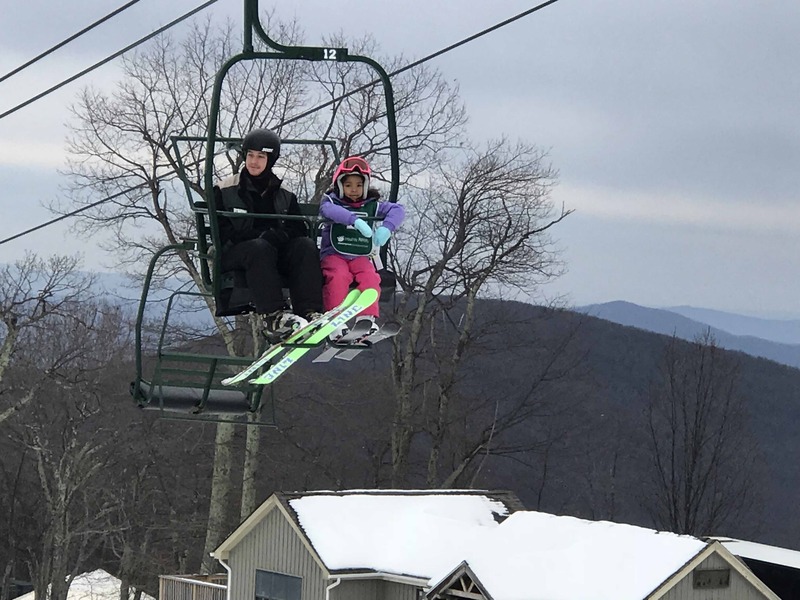 Photo By Paul Purpura : Wintergreen Ski Instructor Teddy Costain takes the chair lift back up the slopes with a student this past Sunday afternoon – December 17, 2017 at Wintergreen Resort. Photo By Paul Purpura : A youngster takes to the slopes this past Sunday – December 17, 2017 during opening weekend of ski season at Wintergreen Resort. To see more photos of opening weekend from the slopes click on Wintergreen Facebook album above. Here’s to a great upcoming season! And anytime you want slope conditions at the resort you can click on our menu above under Tommy’s Weather and go down to Wintergreen Slope Report. 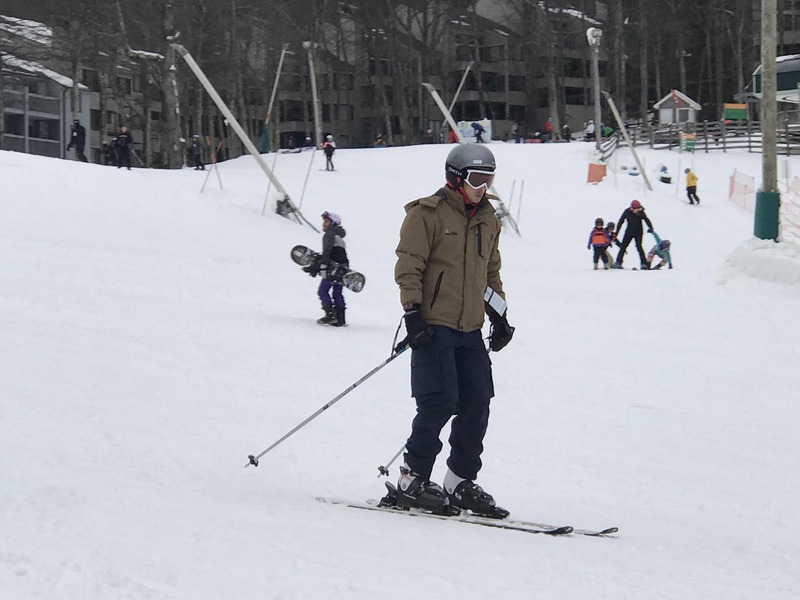 Wintergreen Resort Opens For Ski Season – Earliest Ever!